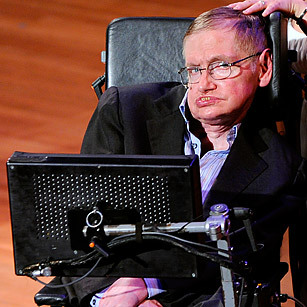 In his 2010 book The Grand Design, Stephen Hawking made provocative statements about the necessity of a God to achieve creation, starting a firestorm of controversy, which he clarified many times, including in a November interview with TIME. Hawking remarked, "God is the name people give to the reason we are here. But I think that reason is the laws of physics rather than someone with whom one can have a personal relationship. An impersonal God." At a time when avowed atheist Christopher Hitchens' worsening cancer put him at odds with religious people claiming to pray for and wanting to save him, Hawking's reasoned scientific explanation of life gave the nonbelievers a bit more of an edge.